I have uploaded all necessary documents. I have set up this fund now so that we can continue providing best medical treatment to Vivek. Any and all the contribution are greatly appreciated. At the end I want to share one more thing which is really very difficult for our family to share with you all is we are totally exhausted we have spend each and everything to save his life and because we have spend all the savings this is only platform for us to collect money for his treatment and his injury is so severe that doctor also can't predict his recovery time totally depend upon time that is why we are too much worried about him but thanks to all of you for your kind support please keep supporting. This was the condition of the vivek when we admitted him to the Apollo hospital his head was bulging due to water clogging in the head and the date was 19/12/2016 and on 29/12/2016 one operation held to drain water from the head through shunting. This is the condition of the vivek after shunting he opened his eyes after 3rd day and his movement was very slow and improvement was also slow. Now present situation of vivek is this he is improving but due to infection everytime in the urine bladder and trecheomy he used to have fever to 99.1 and his recovery is slow according to time which is passed. This is his daughter pic 2 years old. Your share could be as good as a donation for Sunil S! Not everyone can afford to take care of their loved ones. 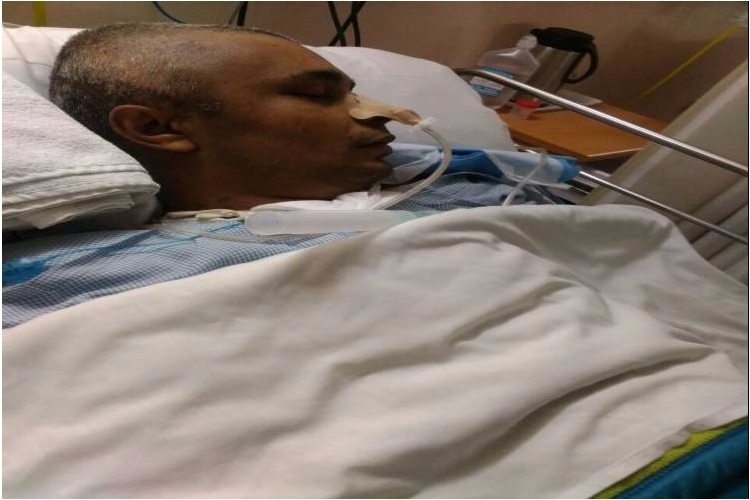 Sunil S's life can only be saved by donations made by kind people like you.